Father to the Fatherless | Grandpas Can! Six year-old Charles Mulli wakes up in his Kenyan hut to discover his parents have abandoned him. Forced to beg from hut to hut in search of food, Charles scrapes out a meagre existence while trying to come to terms with his abusive past. Then, in a dramatic turn of events, Charles experiences unprecedented success. He finds a wonderful wife, raises a family, excels in business to such a degree that he creates an empire that is noticed by the President of Kenya, and he becomes a pinnacle in the church movement. Charles is on top of the world. And then his world changes. In spite of his tremendous achievements, the plight of the growing street children problem in his country remains strong in Charles’ heart. He is unable to shut out their cries, the cries he understands so well, and he realizes he must respond. 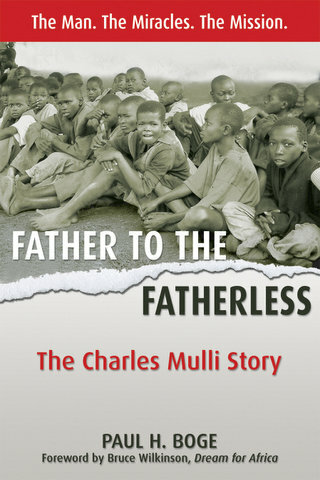 Father to the Fatherless tells the true story of a man who makes a decision to sell everything he has to help the poor. It’s a decision that goes so counter-intuitive to those around him that he is soon completely ostracized, forcing him to carry out what seems like an impossible and unexplainable mission. Now, armed only with his relationship with God, Charles and his family struggle on physical, financial and spiritual fronts to rescue street children from the slums of Kenya and provide them with the hope of new life.